U.S. special envoy for North Korea Mark Lambert is visiting Russia to discuss the denuclearization of the Korean Peninsula. 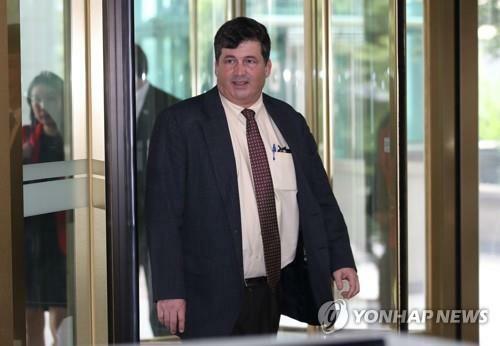 Voice of America reported on Tuesday that a spokesperson for the U.S. State Department confirmed that U.S. Special Representative for North Korea Mark Lambert will be in Moscow from Monday to Tuesday. The department official reportedly said the special envoy will meet with senior Russian officials and North Korea experts in order to continue diplomatic efforts that will achieve the final, fully verified denuclearization of North Korea. Russia' TASS news agency reported on Monday that Lambert met with the Russian Foreign Ministry's ambassador-at-large Oleg Burmistrov in Moscow to exchange views regarding Korean Peninsula issues.